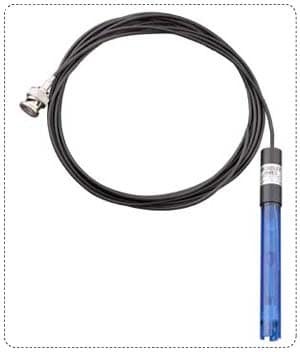 These electrodes have rugged polymer bodies and guards over both the pH and the Redox sensor tip. They have both a pin-wick reference junction and an additional coaxial reference junction, which helps prevent fouling and subsequent measurement drift. Supplied as standard with 3 meter long low-noise coaxial cable and BNC connector. The pH and ORP electrodes have been designed for use in any swimming pool or spa application. The pH electrodes are designed for rugged service in submersion or in-line applications and are compatible with many installed sensor housings found in commercial and residential swimming pool and spa controllers. These controllers rely on pH electrodes and ORP (Redox) electrodes to properly control the pH and Sanitizer levels in both swimming pools and Spas. We offer two different pairs of electrodes, that could be considered “economical” and “long-lasting”. Both will offer good value, fast response, and a quality construction.